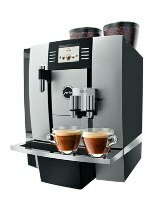 Sales of Commercial Jura Impressa and GIGA Coffee machines in the East Midlands. Jura Service and repair, Domestic & Commercial, in the East Midlands. Current and Recent Models Only. Coffee Sorted is an independent Jura specialist based in East leake, South Notts. and provides on-site Jura sales, service & repair in Cheshire, Derbyshire, Lincolnshire, Leicestershire, Northamptonshire, Nottinghamshire, Rutland, South Yorkshire, Staffordshire, Warwickshire and Worcestshire. Coffee Sorted ©2010 - 2017.